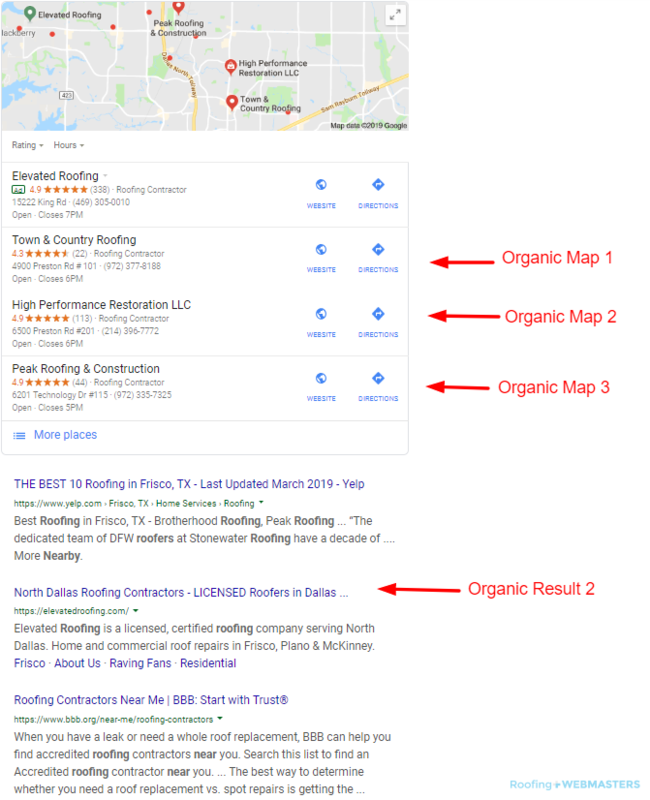 In 2019 most roofing companies share the same online goal which is to rank #1 on Google. Search Engine Optimization or SEO is the best way to accomplish this. But SEO has changed a lot in the past decade. Back in 2009, ranking on Google was an easier process if you knew what you were doing. The landscape is now more competitive. Every roofer in your service area has a website. They also have hired someone to work on their marketing campaign. SEO is now critical not only to excel online but to survive. If it’s so competitive online, why even try? Because success is still attainable if you do things right. Roofing Webmasters manages hundreds of roofing marketing campaigns across the nation and sees consistent success using our tested formula. Our results are so good that more and more roofers want to join. The simple fact is that SEO is worth it because it works. If it didn’t we would not have a business and neither would you. Is Roofer SEO Different Than Other SEO? Yes roofer SEO requires a different approach than general SEO. Since roofing websites are appealing to local consumers with a specific need, the optimization process should be tailored directly to them. At Roofing Webmasters we have mastered this approach. It involves the creation of a custom website, optimization and integration of Google Maps and My Business and high quality content with depth. These things combined have helped countless roofers dominate their local area through organic clicks. Websites for roofers should be fully optimized for local and industry terms, but should also exhibit each of the components mentioned above. Choosing Roofing Webmasters as your SEO service will ensure that each element is embedded into your website’s fundamental infrastructure. The objective of our services is to generate exclusive roofing leads on behalf of our clients. Since the majority of leads will come from Google search, particularly via mobile device, it is critical that each company’s website is 100% refined for search visibility and mobile usability. Optimization works best with PPC rather than instead of it. The two techniques play off of one another with organic results getting more clicks but paid results getting more visibility. Although PPC ads emulate organic results they don’t usually attract as many quality clicks which limits their value. Both SEO and PPC can get consumers in the door but contractors must close the deal after the contact is made. Combining SEO, PPC, and reputation management has proven to be successful for many roofers. Keep in mind that a strategy should be outlined BEFORE the launch of a website. If your existing website has failed to perform up to expectations, perhaps a fresh start will put you on a better path to success. For websites that have consistently failed to generate clicks, leads, and traffic, starting from scratch is probably best. Since pages gain authority through inbound links, failure to rank at all prevents the formation of quality inbound links from reputable sources. Roofing Webmasters can create a custom website from scratch, tailor-made for your company and its brand. Updated on March 15, 2019 at 3:33 pm by Roofing Webmasters.